A distinguished professor and Rose C. Falkenstein Chair in Cancer Research at the Albert Einstein College of Medicine in New York, Dr. Horwitz elucidated the mechanism of action of Taxol®, a natural product obtained from the yew tree. Specifically, she discovered and proved that the molecule, whose chemical name is paclitaxel, binds to microtubules in cells, stabilizing them, thereby leading to cell cycle arrest and subsequent tumor cell death. This body of work enabled the successful translation of the drug into the clinic, and it is now one of the most frequently prescribed medications in the world for the treatment of ovarian, breast and lung cancers. Dr. Horwitz’s current NFCR-funded work includes research into which tubulin proteins in the microtubules may have a role in resistance to Taxol, as well as efforts that may help predict which patients would be more likely to respond well to the treatment. Also, in collaboration with another NFCR fellow, the University of Pennsylvania’s Amos B. Smith III, Ph.D., she is developing analogues of another natural product, discodermolide, a microtubule stabilizing agent which exhibits low toxicity. These may in the future serve as additional cancer treatments. 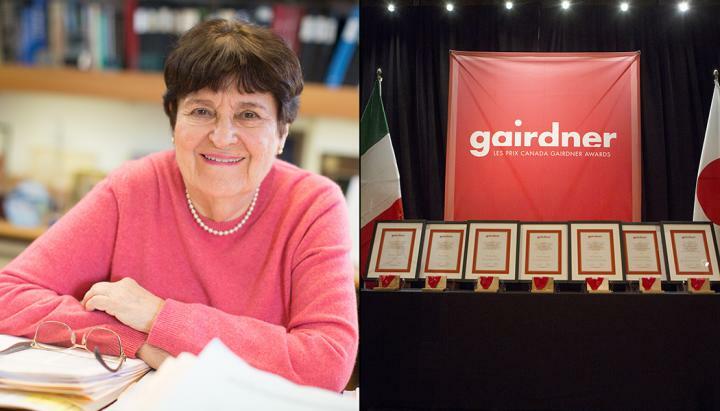 Canada Gairdner Awards have been granted annually for the past 60 years and are made by the Toronto-based Gairdner Foundation. The Canada Gairdner International Award is given to five individuals for outstanding international biomedical research, while the Canada Gairdner Wightman Award is given to an individual leader in Canadian medicine. The John Dirks Canada Gairdner Global Health Award recognizes a contribution to health in the developing world. To date, 380 scientists have received a Canada Gairdner Award, 89 of whom have gone on to receive the Nobel Prize. Laureates receive a C$100,000 cash honorarium and this year will be formally recognized at a Thursday, October 24th, ceremony. A high-resolution version of the included image is available upon request (sources: Canada Gairdner Foundation, Albert Einstein College of Medicine and Della Rollins).